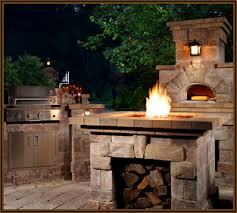 Outdoor living spaces have evolved into far more than a patio occupied by wicker furniture and a barbeque grill. In recent years, outdoor living spaces have helped to expand a home’s useable space throughout the year. According to Rizzon Landscaping, an online landscape design company, outdoor living spaces now include outdoor kitchens; beautiful outdoor furniture; multi-level decks and walkways; fire pits; and water features such as ponds and waterfalls. Seasonal plants and flowers provide an ever-changing palette of colors and textures. Engage a professional landscape designer. If you want an outdoor kitchen, for example, the designer can place the stone patio, kitchen fixtures, and seating groups in their proper places. If trees and flowers are a major component of your ou tdoor living space, the landscape designer will include them on the plan. In addition, they will list each plant variety she thinks is appropriate for that location. If necessary, they will help you obtain and install that greenery. 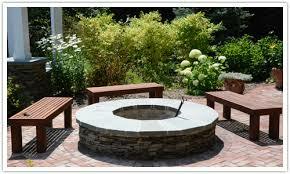 Rizzon Landscaping would be pleased to help you accomplish your new outdoor space element. This entry was posted on April 10, 2013 by rizzonlandscaping.